See the newest Glengarry homes for sale below! Glengarry is a mature neighourhood located in Northeast Edmonton. The community is west of 97 St., south of 137 Ave., east of 82 St. and north of 132 Ave. First developed in the early 1960s, many Glengarry homes for sale have been renovated and sit on decent-sized lots. Potential homeowners will also find a good selection of townhouses and condos in the Glengarry community. Learn more about the charming Glengarry neighbourhood or start browsing the Glengarry property listings below! Explore Glengarry Edmonton real estate options and you'll quickly see this community is located close to many amenities and services, making it very convenient. Nearby, you'll find a Safeway at Northgate Centre, along with many other great stores and a Spa Lady location. The North Town Shopping Centre is also right there with a London Drugs location and a Starbucks. Other nearby shopping is at Londonderry Mall. If you enjoy dining out, there are a few restaurants in the community including the Leaf Bar & Grill, where you'll enjoy some casual pub food to go with a cold beverage. The Canyon Grill is also close by, and serves breakfast, lunch and dinner in a friendly unpretentious environment. 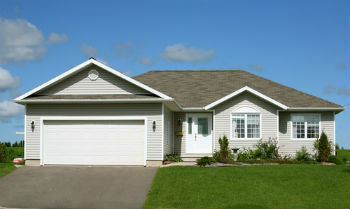 Glengarry homes for sale are popular among families because of the schools found within the neighbourhood. Glengarry School (K-6) is a single-track Arabic bilingual school that feeds into Killarney Junior High (7-9). St. Cecilia School is a junior high under the Catholic board that has both English and French Immersion programs. Archbishop O'Leary High School is also within Glengarry. The Glengarry community is blessed to have a huge park right in its centre. The park boasts an outdoor hockey rink, four tennis courts (hard court), and sports fields. Edmonton has plenty of other outdoor attractions, including the popular Lois Hole Provincial Park, located west of Alberta's capital. The park is a large day-use area surrounding a large lake, which is home to a large nesting area for migratory waterfowl and shorebirds. In fact, the park is a fantastic place for bird-watching, as more than 220 species have been seen in the park including American avocet, Northern pintail and Yellowlegs. For more information about Glengarry homes for sale, don't hesitate to contact us at MaxWell Challenge Realty. Call us directly at 780-990-7777.